Shari A. (Anderson) Herdman, 63, of Haverhill Street, Rowley, MA, passed away peacefully at home surrounded by family and loved ones on Sunday, April 22, 2018. She was the loving wife of Steven J. Herdman with whom she shared 38 years of marriage. Shari was born on July 15, 1954 in Palmer, MA, and was the daughter of the late Edward M. Anderson, Jr., and Ann M. (Roberge) Hitchcock. Shari was raised by her stepfather, Milton, and mother, Ann Hitchcock. She was a devoted wife, mother, and grandmother who left employment to raise her children. She was employed as a production worker at Winfrey’s Fudge & Chocolates and formerly worked as a licensed practical nurse. 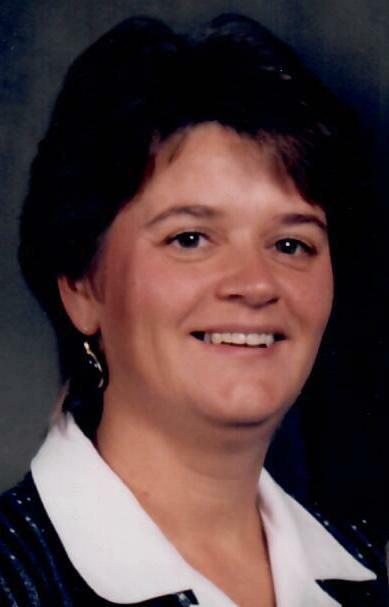 In 1987, Shari was active in forming the group, Ladies Night Out, in Rowley. For many years she could be found cheering on both her sons during the baseball season, never missing any games. Shari was a skilled wood carver who also enjoyed making crafts with friends. She enjoyed boating on the “Happy Herd”, camping, canoeing, both downhill and cross-country skiing, and hiking, having climbed Mt. Washington to the summit and back down, amongst many other New England White Mountains. Besides her husband, Shari is survived by two sons, Brian J. Herdman and wife Cheri of Salisbury, MA, and Mark E. Herdman and wife Lindsay of Epping, NH, her four cherished grandchildren, Avery, Connor, Callie, and Jack, and several nieces and nephews. She was predeceased by her brothers, Michael, Dale, and Kevin Anderson. Calling hours will be held on Sunday, April 29, 2018 from 4-7 p.m. at the F. S. Roberts & Son Funeral Home, 14 Independent Street, Rowley. A memorial service will be held on Monday, April 30, 2018 at 10 a.m. at the First Congregational Church, 175 Main Street, Rowley.